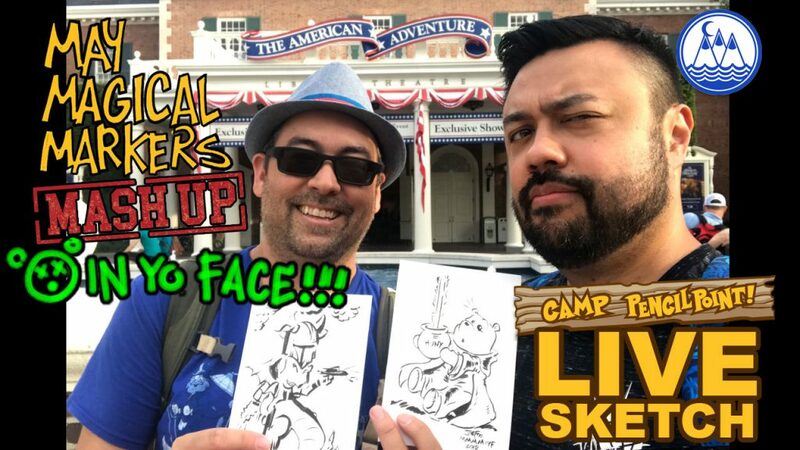 Surprise Live Sketch– This video was streamed live from… the American Adventure Pavilion in Epcot! Again, we drew a May Magical Marker Mashup… IN YO FACE! In this sketch, Joe Foo and Chef Miker drew their second favorite Disney characters mashed together with another character. In this video, Joe sketched a Winnie the Pooh Jedi, and Chef Miker sketched a Figment Boba Fett. As mentioned earlier, this video was recorded at the American Pavilion Epcot (again sorry about the audio, it was a windy day). The video starts with Chef Miker placing an Art Drop strategically in an All American planter, and then we go right into the Mash Ups! We would love it if you sketched with us and mash together two of your favorite characters! Don’t sweat the end result, because the most important part is to have fun as you draw! Let’s see who you mash up! Post your art to social media and use the hashtag #CAMPPENCILPOINT. The artists of Camp PencilPoint will keep an eye out for these! Please share Camp PencilPoint with family and friends and please subscribe to our YouTube channel for all the latest drawing videos! Visit http://camppencilpoint.com for more tutorials, news, appearances and arts and stuff. Enjoy all the of nonsense and tomfoolery! Please share Camp PencilPoint with family and friends and please subscribe to our YouTube channel for all the latest drawing videos! Enjoy all the of nonsense and tomfoolery! 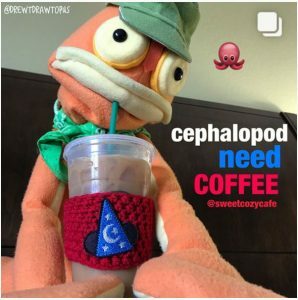 For the latest on everything going on at Camp PencilPoint, follow Drew T Drawtopus on Instagram. Sketch by Joe Foo and Chef Miker.